Emotional support animals can provide comfort and companionship to their owner. According to Emotional Support Animal Doctors, people diagnosed with anxiety, depression, and PTSD qualify for emotional support animals. To obtain a support animal, first, you will need a letter written by a mental health professional. Obedience and Loyalty– Poodles are very obedient which can make it easier during training for emotional support. They are also highly intelligent and have a great memory. Hypoallergenic– Because poodles don’t shed, they are perfect for people with allergies. Size– Most people choose smaller dog breeds because it is easier to travel with them. Toy poodles typically weigh between 5-8 lbs which makes them the perfect size to take to most places. Life span– Toy poodles have an average life span of about 16 years. They are one of the dog breeds that live the longest which will give you the most time with your puppy. Poodles enjoy lots of physical activity and mentally stimulating games. This is great for the health of both you and your dog. It is important when looking for a dog to find reputable breeders or adoption agencies. Avoid puppy mills as they have been known for neglecting animals and raising them in unsafe conditions. 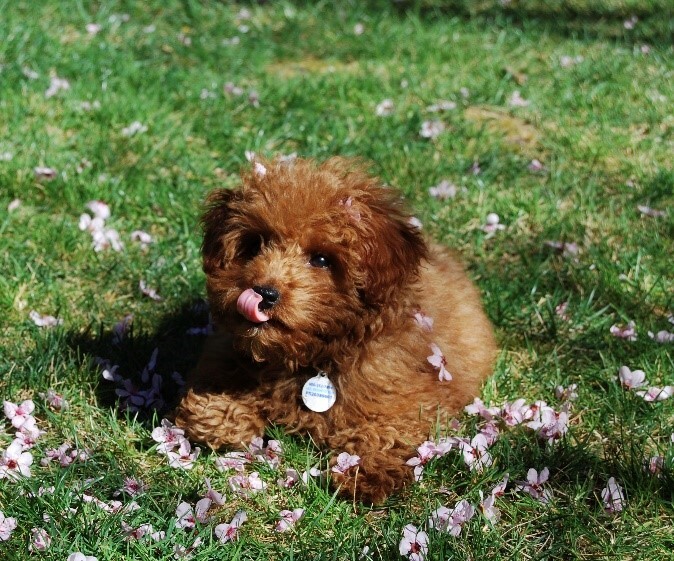 Scarlet’s Fancy Poodles breeds miniature poodles, toy poodles, and teacup poodles. As licensed and experienced dog breeders our family has raised poodles for 60 years. Submit your Puppy Application today!